The population is small and declining, with just 5-10,000 individuals. 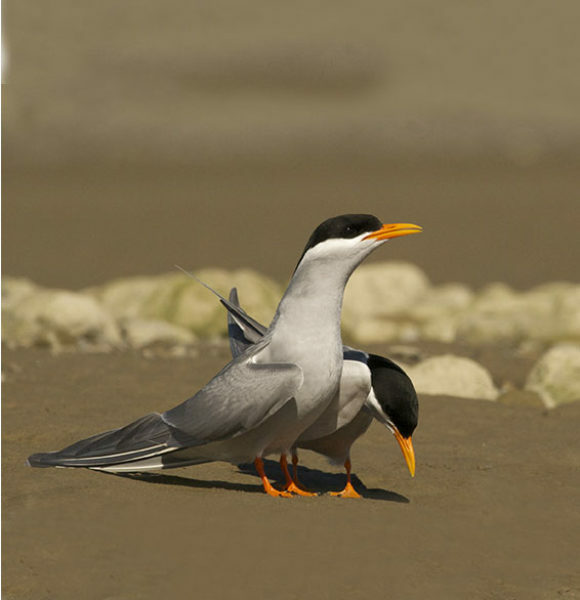 A small grey tern around 28 cm and weighing 95 g, black-fronted terns – tarapiroe are seen over South Island braided rivers hawking for small fish and invertebrates (above image), or over newly-ploughed fields near rivers. An attractive and highly distinctive bird in breeding plumage, its slate grey wings and body contrast with a black cap and bright orange bill. During the non-breeding season the black cap recedes revealing a patchy white forehead between the eyes and the bill. Noisily attacking intruders by diving, calling harshly and often striking the intruder’s head. 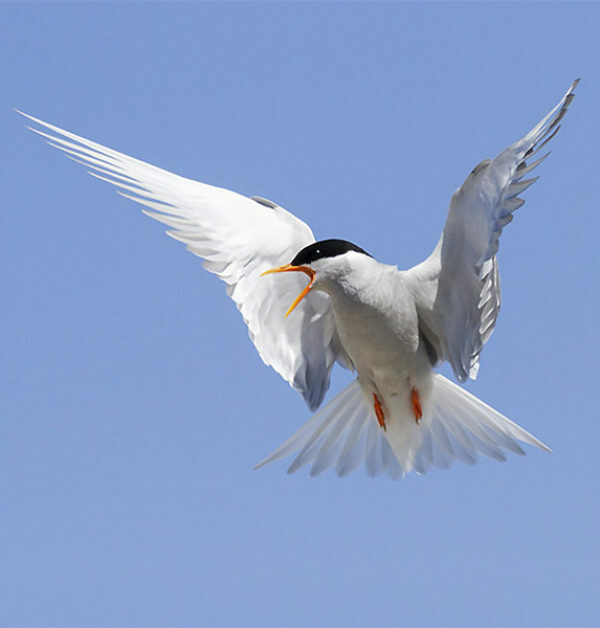 Following the breeding season and into winter, they gather in flocks of up to 300 birds (and occasionally as many as 1000 ) on coastal estuaries and lagoons, foraging up to 50km offshore mostly for planktonic crustaceans. 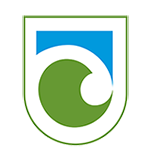 Particularly during rough weather, they can also be seen foraging for grubs and invertebrates on damp near-coastal farmlands. They breed at 2 years old in colonies only on the braided riverbeds of the eastern and southern South Island from Marlborough to Southland. Adults generally (but not always) return to the same river to breed each year. Nests are simple scrapes in sand or amongst river stones, lined with a few fine twigs. Most colonies are small, typically 2-50 pairs, but can be up to 250 pairs in widely spaced nests. They generally lay 1-3 eggs October – December, sometimes January if an earlier clutch has been washed out by spring freshes or floods or destroyed by predators. 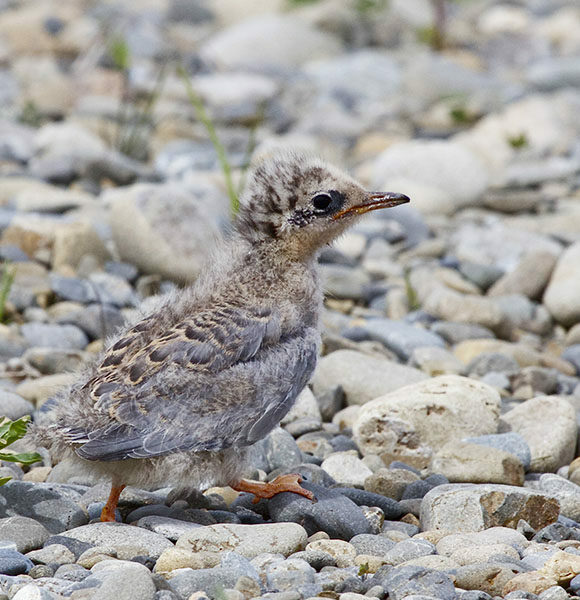 Chicks leave the nest 1-3 days after hatching and fledge 4 weeks later, and are fed for another 2 weeks by adults.